Discover the ultimate indoor snow resort at Ski Dubai, the first indoor ski resort in the Middle East! With an amazing mountain-themed wintery setting, enjoy skiing, snowboarding, tobogganing, or just playing in the snow. Plus you can now meet and play with Ski Dubai’s newest residents; the Snow Penguins! Ski Dubai has the world’s largest indoor Snow Park, an amazing 3000 square meters covered with snow. Enjoy fun for the whole family in the world’s largest indoor snow park housing an amazing 3,000 square meters of snow. Stick on your snow boots and enjoy Twin Track Bobsled runs, a Snow Cavern filled with interactive experiences, and Tobogganing hills. Visit the upgrade station for a ride on the Giant Ball or jump on the chairlift for a spectacular bird’s eye view of the entire park. Don’t forget to watch the March of the Penguins several times a day which is free for the Snow Park guests. Through the beautiful sight for your eyes we shall reach the Hatta Heritage Village which comprises of old the old fort and its village. There is fresh spring water pools which makes you feel revitalised and charged. The real adventures begin as we follow the trails of the valleys dry river bed in the HattaHajjar Mountain to reach fresh water pools. During this trip you can also take a dip or dive into the blue waters if you feel like. Along with that you can also enjoy some refreshments before driving to the famous hotel for a mouthwatering lunch. 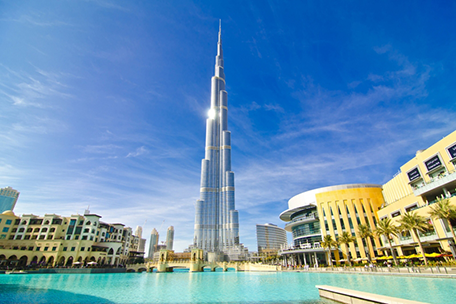 Begin your Dubai sightseeing with Burj Khalifa, the tallest building in the world. The Burj Khalifa skyscraper is a world-class destination and the magnificent centrepiece of Downtown Dubai, Dubai’s new urban masterpiece. 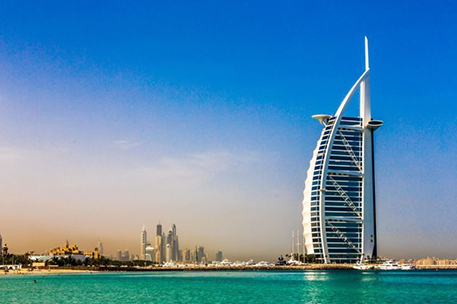 The world’s tallest building is surrounded by hotels, must-visit shopping destinations and a world of entertainment options. The total roof area of 200,000 m2 uses enough aluminum to cover 16,750 Ferrari’s, or if you laid the roof flat you could place 20,100 Ferrari’s side by side and end to end. If Ferrari World Abu Dhabi was turned upright, it would be the tallest man made structure in the world at over 300 floors! The Ferrari logo on the roof, the largest ever created, measures an incredible 65m in length and covers an area of 3,000 m2 which could fit at least 7 basketball courts. 100,000 m3 of concrete were used to pour the slabs of Ferrari World Abu Dhabi, which is 10,000 m3 more than what was used for Wembley Stadium in London. Ferrari World Abu Dhabi has the largest space frame structure ever built with a total of approximately 172,000 members and 43,100 nodes. Ferrari World Abu Dhabi needed 12,370 tons of steel to create its structure; the Eiffel Tower only needed 7,000 tons. The Empire State Building could be rebuilt in the same time it took to clad the 200,000 m2 of roof for Ferrari World Abu Dhabi; approximately 14 months. Formula Rossa, the world’s fastest roller coaster, has the same G force one would feel driving in an F1 car and braking at maximum speed. Bell’Italia displays more than 40,000 hand-planted miniature trees. Ferrari World Abu Dhabi, for the first time ever, houses Four Michelin star experienced Italian chefs under one roof. There is a total of 663 jelly palms surrounding the two coasters. 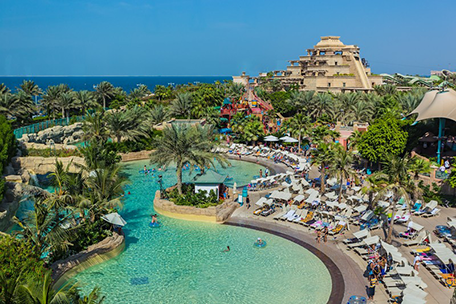 Each palm produces 4 pounds of fruit.A football field needs 8,400 m2 of grass coverage; to cover the area around the roller coasters at Ferrari World Abu Dhabi, 4.5 times that amount was used – approximately 39,000 m2 of ground cover. One must experience Dubai Desert Safari once in his life-time. 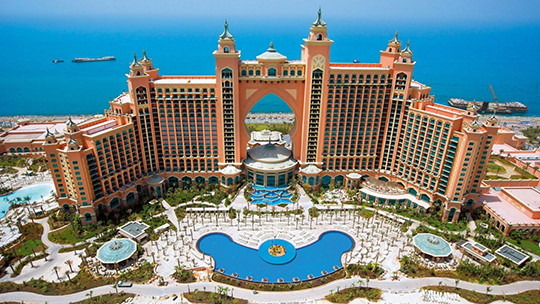 This exaggerating and splendid tour will take you to Dubai dunes and sandy shores. 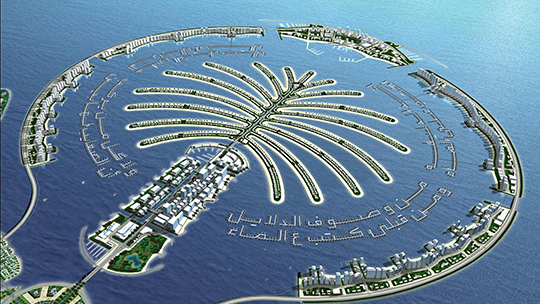 You will experience the uphills and entire Dubai. Cruising down Dubai creek is a novel experience, one which you cannot miss when in Dubai. Imagine yourself on having dinner on a Dhow Cruise with the fascinating lights of Dubai creek with Music and Tantra Dance show with a sip of your favourite drink and BBQ buffet dinner. Romance for never so easy to find…Cruising down Dubai creek is a novel experience, dinner on a Dhow Cruise with the fascinating lights of Dubai creek with music and belly dancing with a sip of your favourite drink and BBQ buffet dinner Romance for never so easy to find.